A COMFORTABLE, WELCOMING REDWOODS RETREAT. 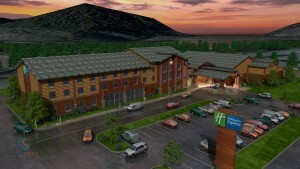 Redwood Hotel Casino in Klamath, CA is the perfect place to rest and relax in Redwood National and State Parks. Newly constructed from local and sustainable materials, the Redwood Hotel Casino in Klamath CA, is worthy of its majestic surroundings…after all, it’s right in the heart of The Park in Northern California! 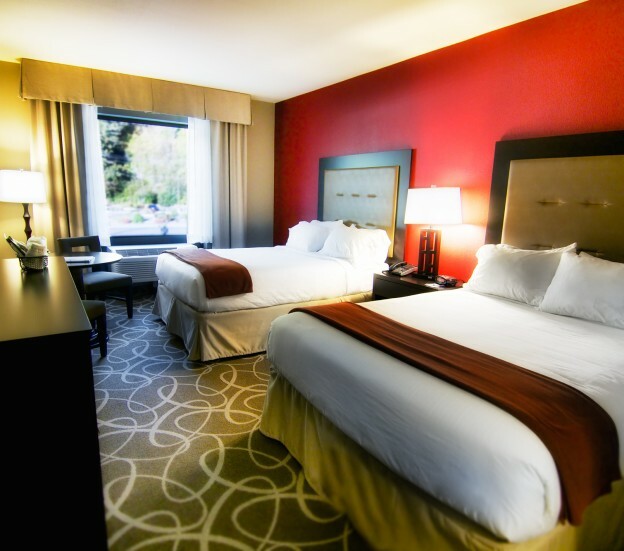 The new Redwood Hotel Casino delivers the high standards you count on from a Holiday Inn Express. After of day of adventuring, a clean and comfortable room packed with amenities is the best way to rest and re-energize. Make Redwood Hotel Casino your home base for adventures in the parks, the coast or on the Klamath River. Start the day with a hot complimentary breakfast and you’re just minutes from the trail or beach! Just passing through? 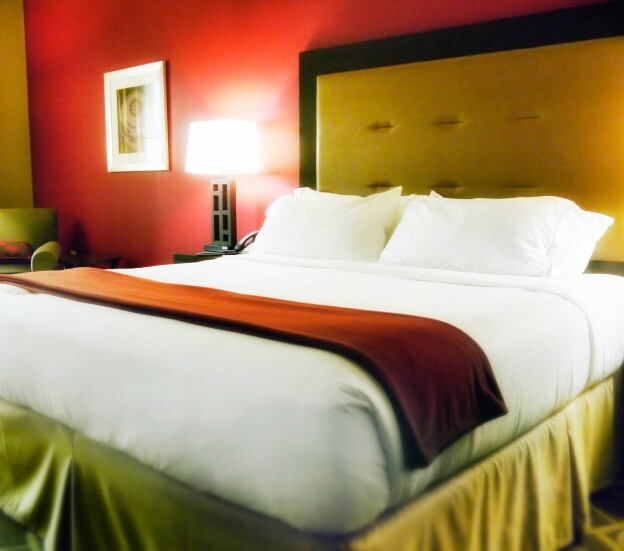 Make the Redwood Hotel Casino a welcomed break from the road. 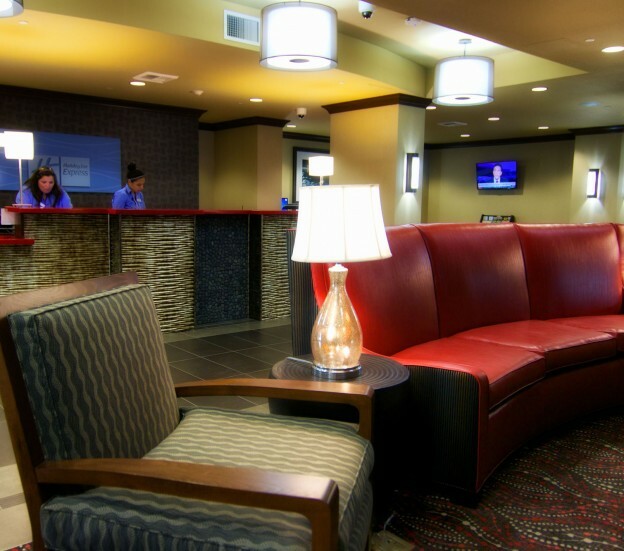 All the amenities a weary traveler could need are right here: great rooms, the inviting Abalone Bar & Grill and a service station. At the Redwood Hotel Casino in Klamath, your Yurok hosts will do everything possible to make you feel huem-chor (welcome) and make your stay enjoyable. 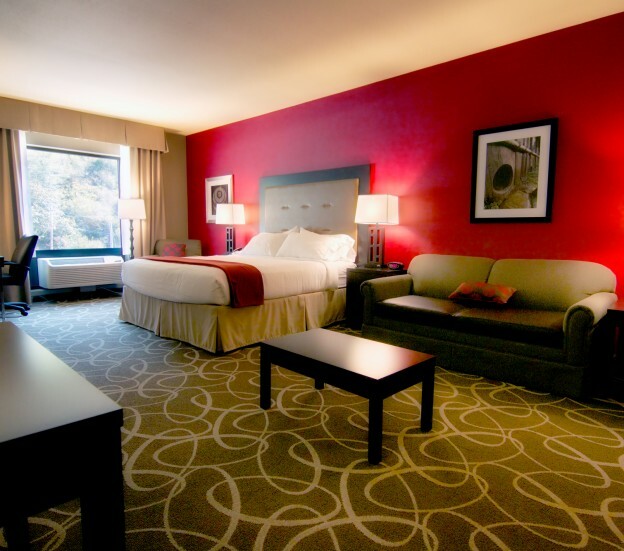 We’re excited to make your stay in the heart of the Redwoods most enjoyable! Let us be your guide on your Redwood adventure! 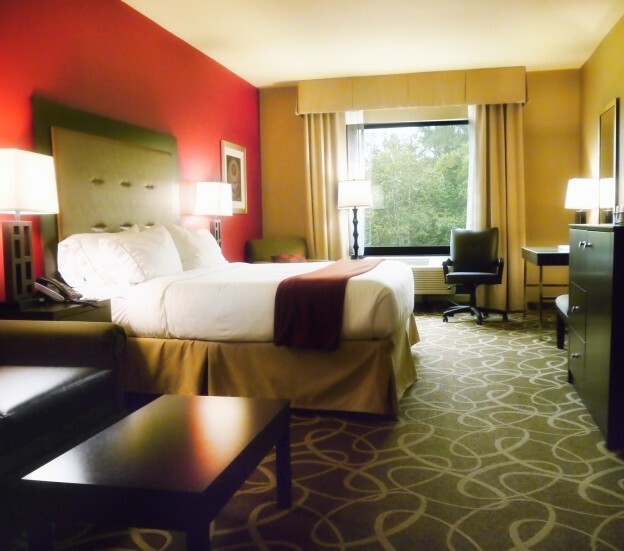 Every Redwood Hotel Casino room delivers the quality and comfort you’ve come to expect Holiday Inn Express. Choose from four room types: Standard Single King; Standard Double Queen; Executive Single King; and Executive Double Queen. Redwood Hotel Casino has a large parking facility to accommodate tour buses, and offers event planning services to help make sure that your event, wedding or important meeting goes smoothly.